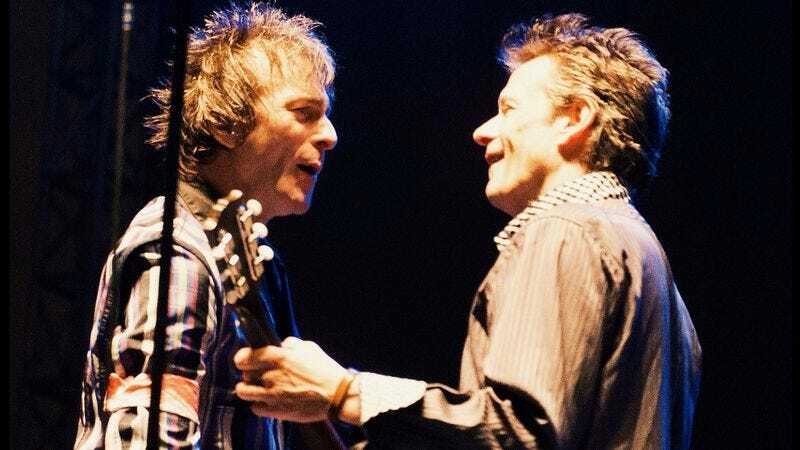 This year’s edition of Riot Fest Chicago was one long preamble to the main event on Sunday night: a headlining set from The Replacements, featuring Paul Westerberg and Tommy Stinson with The Neighborhoods’ Dave Minehan on guitar and Josh Freese on drums rounding out the band. It was their first performance in Chicago in 22 years, since they broke up during a performance in 1991 at Taste Of Chicago in Grant Park, which at the time was broadcast live on the radio. In case you couldn’t make it to Toronto or Chicago, or to Denver this upcoming weekend for the band’s Riot Fest performances, The Barn has the entire 24-song set from Humboldt Park available to stream and download, and it's respectable quality with only minor crowd noise interruptions. Take a look at the career-spanning setlist below, which wouldn’t be complete without a few covers.